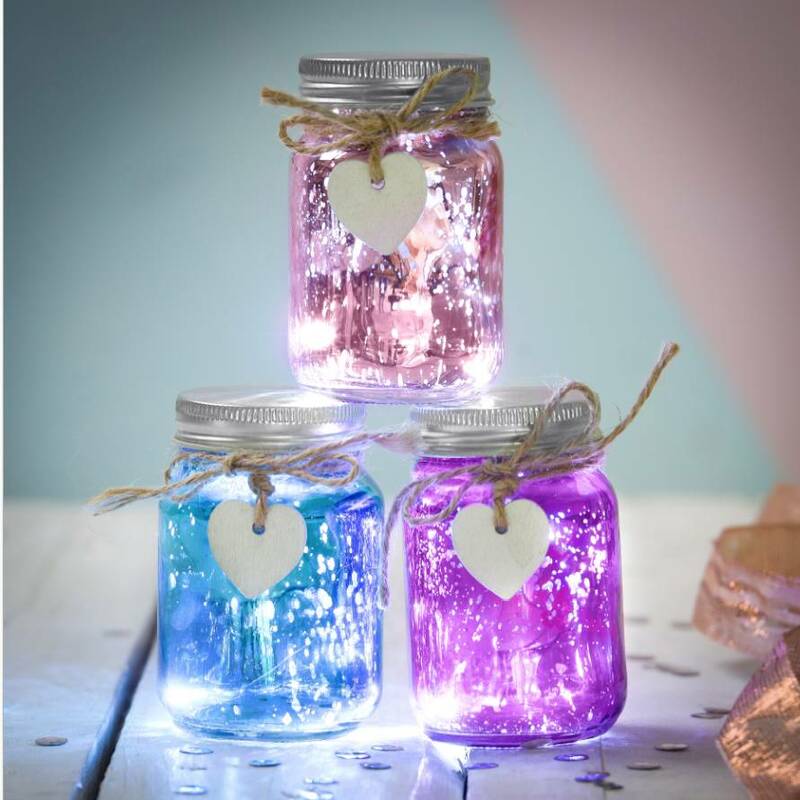 These Speckled effect Mini Jars with LED Lights are perfect for lighting garden parties or to create a pretty light in a window. 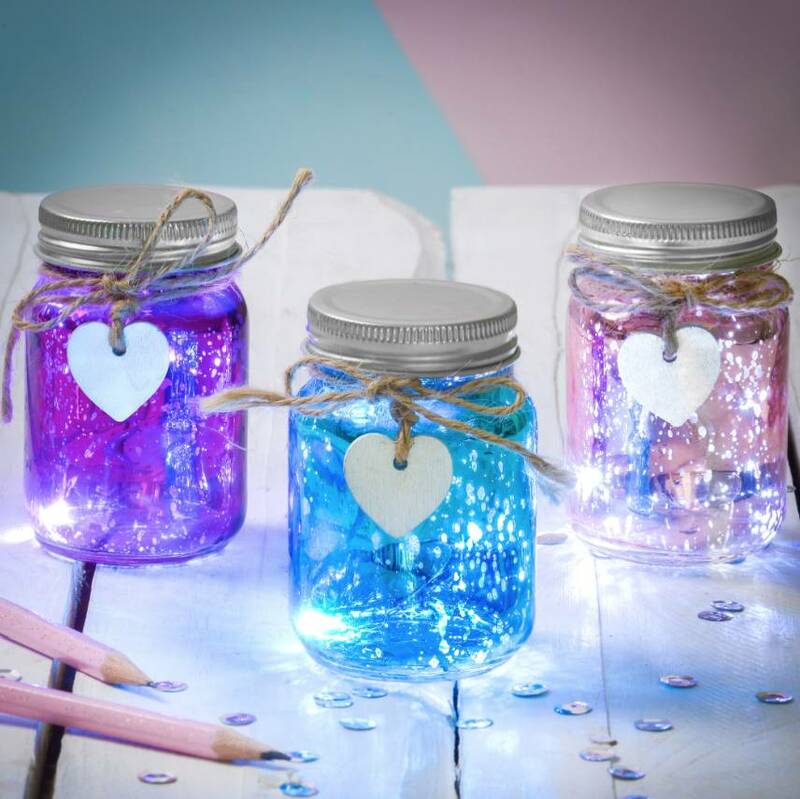 The paint itself on the jar is specked with areas of see-through material, allowing a mesmerising light effect to shine through. 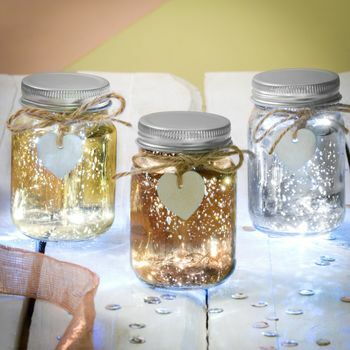 This LED Firefly Jar works through the inclusion of a string of LED lights inside the glass jar, powered by batteries . 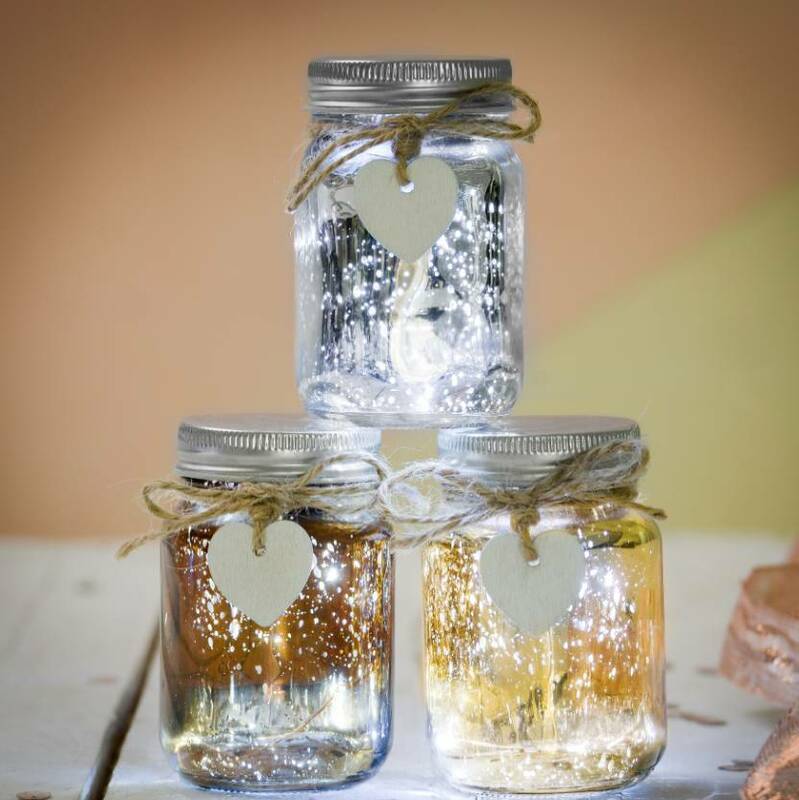 Behind the painted tint of the glass a blurred glow of white light can be seen, creating an almost life-like effect of fireflies caught in the jar. The power pack and switch for the LED lighting for the piece is cleverly hidden within the lid itself, ensuring the life-like effect is true to life.